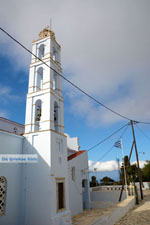 Arnados. 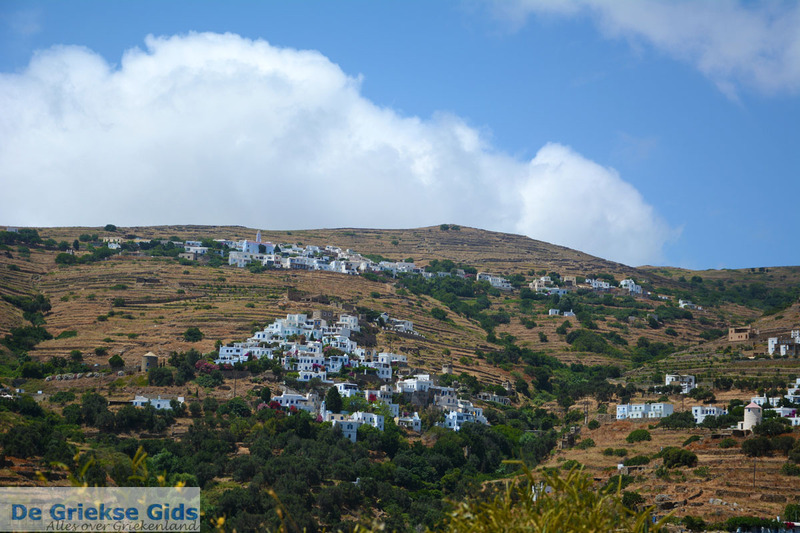 Arnados is a traditional mountain village on the slopes of Mount Kechrovouni on the beautiful island of Tinos. 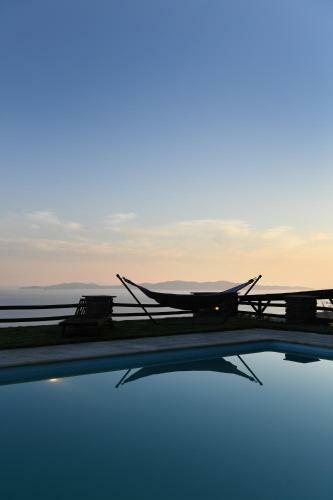 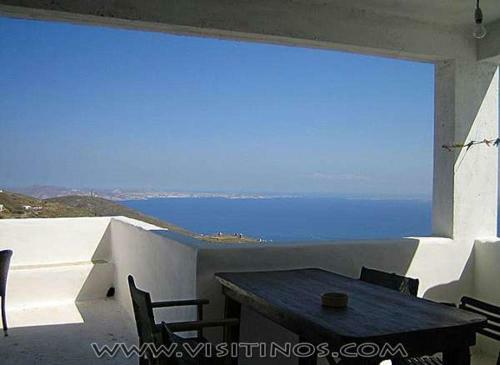 It is located about ten kilometers (6 mi) northeast of Tinos town. 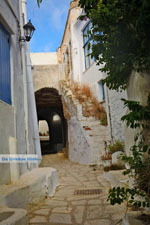 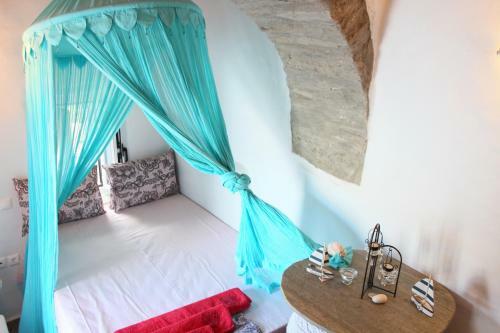 The village consists of authentic white stone houses and narrow alleys with several arches. 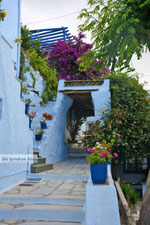 In the small courtyards and on the walls, everywhere, you see flowers and plants. 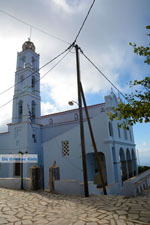 On the large square stands the imposing Church of the Ascension of Christ, built in the 17th century. 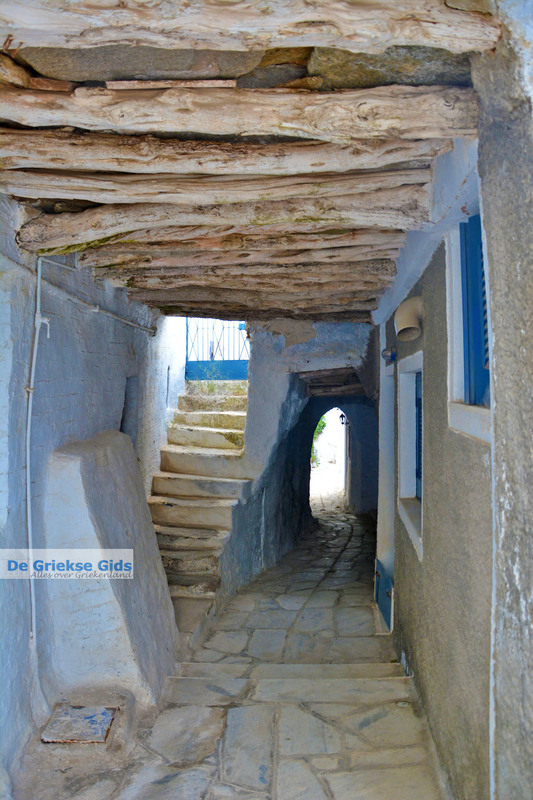 A walk through the village is pleasant, but be forewarned, you have to walk many steps. 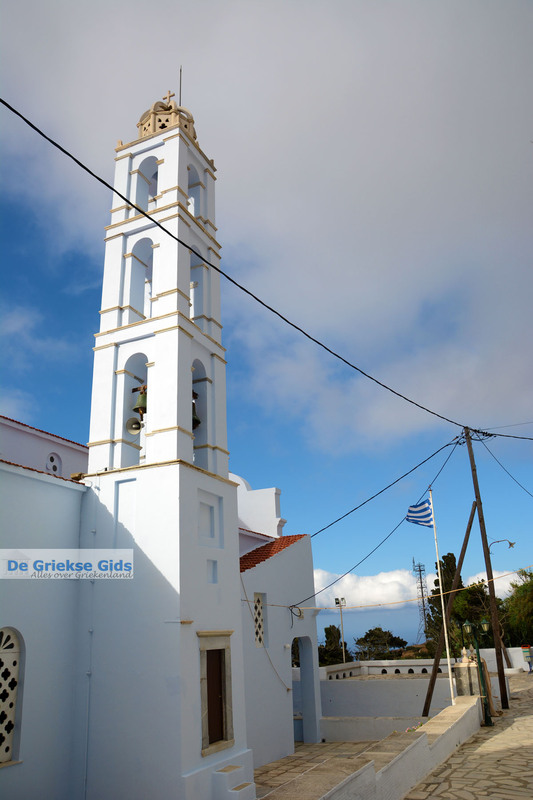 In the village is a church museum with old icons and books. 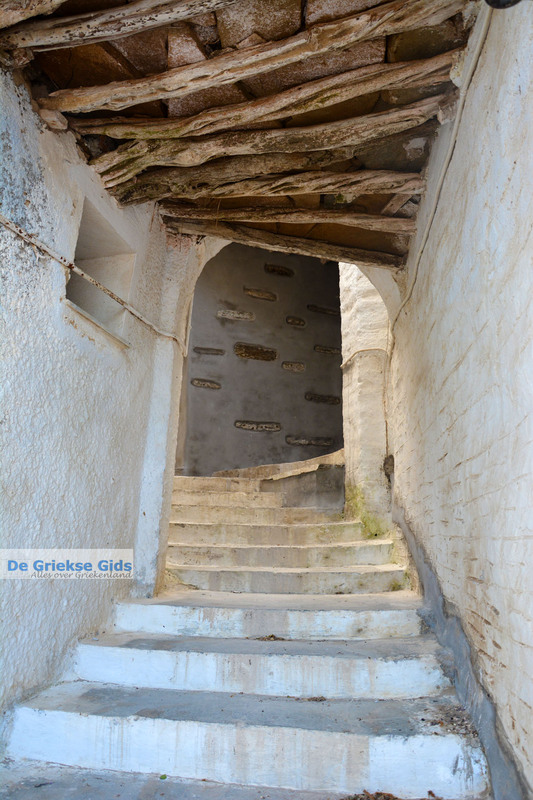 There is also an agricultural museum with traditional cooking utensils and tools. 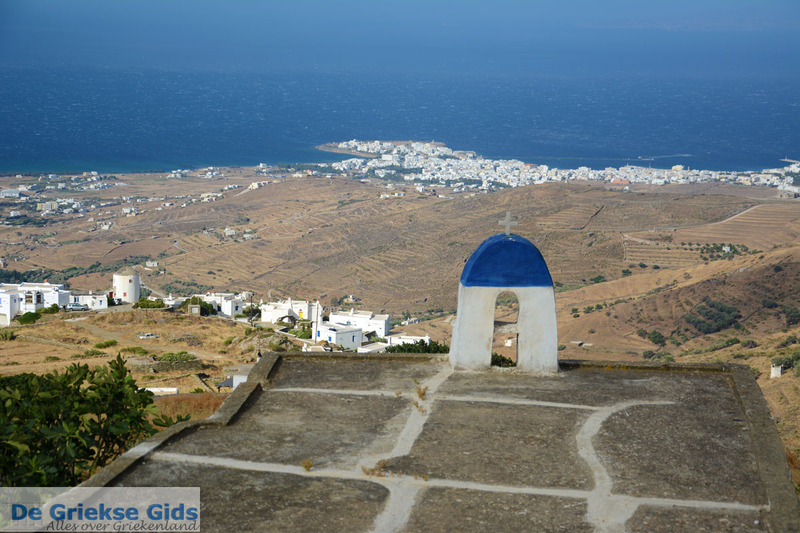 From the village, which is near the monastery of Agia Pelagia, you have a fantastic view over the Aegean Sea. 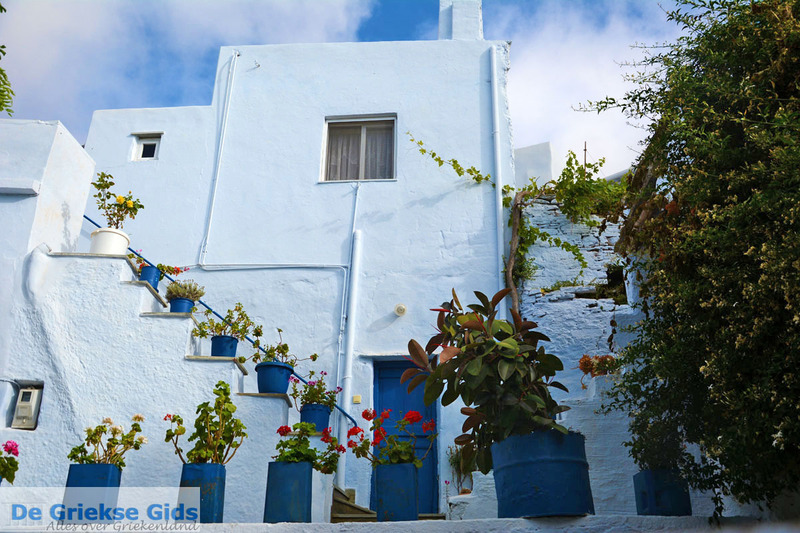 The residents really love their village. They have never modernized it. 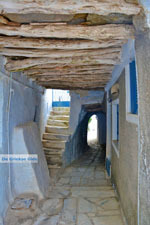 In the village are some nice traditional cafes (kafeneions) and taverns. 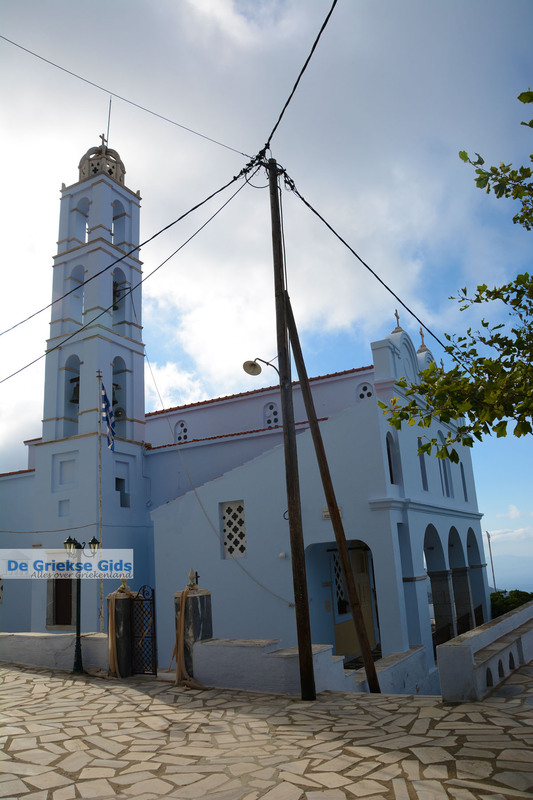 On the route to the village of Dyo Choria, is the exhibition center named Arnados where each year various activities and exhibitions are being held. 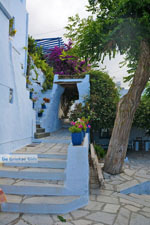 Near Arnados, within easy walking distance, are several picturesque villages such as Berdemiaros, Triantaros and Dyo Choria. 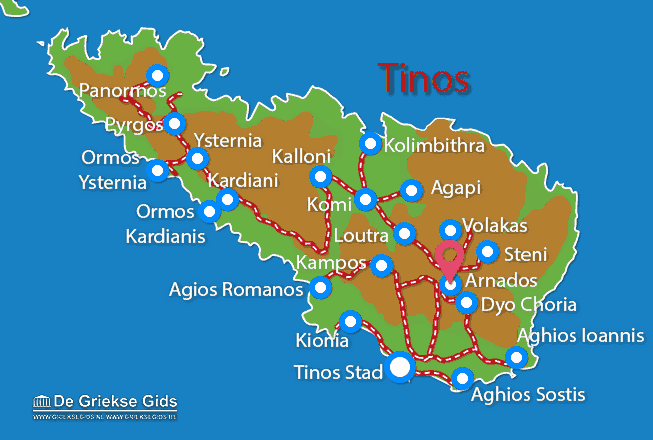 Tinos: Where on the map is Arnados located?